Would you make a good construction manager? Take our career test to find out how you match with this and over 800 other careers. A construction manager is someone who plans, coordinates, budgets, and supervises construction projects from early development to completion. 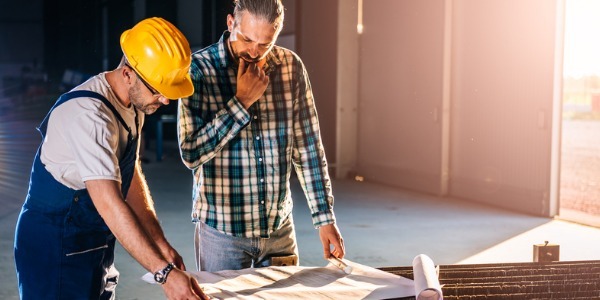 Construction managers coordinate and supervise a wide variety of projects, including the building of all types of residential, commercial, and industrial structures, roads, bridges, power plants, schools, and hospitals. They oversee specialized contractors and other personnel. They schedule and coordinate all design and construction processes to ensure a productive and safe work environment. They also make sure jobs are completed on time and on budget with the right amount of tools, equipment, and materials. Many managers also are responsible for obtaining necessary permits and licenses. They are often responsible for multiple projects at a time. Construction managers address budget matters and coordinate and supervise workers. Choosing competent staff and employees, as well as establishing good working relationships with them, is critical. Managers also must delegate tasks to workers, subcontractors, and other lower level managers effectively. 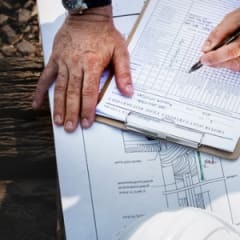 Managers must give clear orders, explain complex information to workers and clients, and discuss technical details with other building specialists. Self-employed construction managers must get their own projects, so the need to sell their services to potential clients is critical. Managers must know construction methods and technologies, and be able to interpret contracts and technical drawings. Construction managers must meet deadlines. They ensure that construction phases are completed on time so that the next phase can begin. For instance, constructing a building foundation cannot begin until the land excavation is completed. They must write proposals, plans, and budgets clearly for clients and others involved in the building process. Are you suited to be a construction manager? Construction managers have distinct personalities. They tend to be enterprising individuals, which means they’re adventurous, ambitious, assertive, extroverted, energetic, enthusiastic, confident, and optimistic. They are dominant, persuasive, and motivational. Some of them are also realistic, meaning they’re independent, stable, persistent, genuine, practical, and thrifty. Does this sound like you? Take our free career test to find out if becoming a construction manager is right for you.